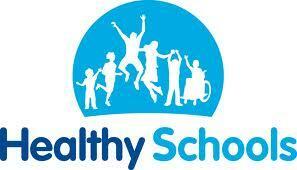 Here at Sacred Heart Primary School we are proud have the ‘Healthy School’ status. Schools with Healthy School status have shown to achieve better results for all Key Stage 1 assessments and Key Stage 2 science compared with other schools. Also, pupils in Healthy Schools report a range of positive behaviours such as diminished fear of bullying and a reduced likelihood of using illegal drugs. Why is being a ‘Healthy School’ it important? • to help promote social inclusion. Pupils have the confidence, skills and understanding to make healthy food choices. Healthy and nutritious food and drink is available across the school day. Pupils are provided with a range of opportunities to be physically active. Promoting positive emotional, health and well-being to help pupils understand and express their feelings, building their confidence and emotional resilience and therefore their capacity to learn. The LEA Health and Safety Executive recommend that the teachers should not administer medicine or drugs of any kind to children in school. If for any reason medicines have to be administered during the school day, parents must see the Headteacher to arrange a time when they can come to school to give the medication to their own child. On no account should children be given medicine or tablets to take themselves. In the case of asthma, or other severe allergies, we ask that parents give full details on the Child Information Form of method, amount and frequency of medication to be taken. Please inform the school if your child has been diagnosed as suffering from asthma. Incubation and exclusion periods for common communicable diseases.